German Chancellor Angela Merkel and French President Emmanuel Macron will today meet with Ukrainian President Petro Poroshenko in Berlin and Paris respectively. The timing of the meeting seems odd, given that Mr Poroshenko is currently in the midst of a difficult re-election campaign. 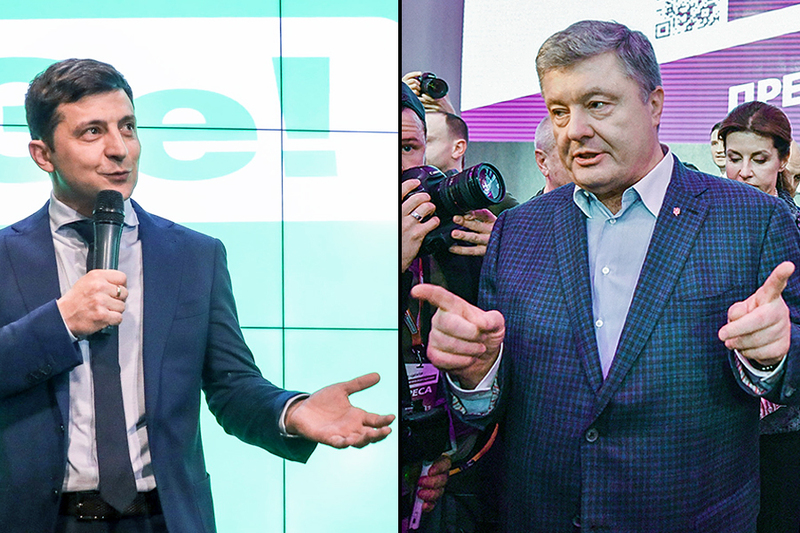 The first round vote on March 31 saw him clinch second place; populist challenger Volodymyr Zelensky secured 15 percentage points more than the current president, but not enough to win outright, triggering a runoff scheduled for April 21. Mr Zelensky also has intentions to meet with European leaders before the next round of voting begins, including meeting with President Macron today. This is particularly striking, given that Mr Zelensky does not yet hold public office. Mr Poroshenko’s meeting with Ms Merkel is likely a move to salvage his prospects of retaining the presidency. The president’s base has supported his diplomatic and economic efforts to further integrate Ukraine with Europe. However, he has suffered in the polls due to his failures to win Ukraine EU membership and fully root out corruption. The current president’s prospects of retaining the presidency look grim. Indeed, the latest opinion poll has him polling at 24%, compared to Zelensky’s 61%. Meanwhile, Mr Zelensky, a populist “reformer or reformers”, effectively presents himself as even more pro-European than Mr Poroshenko, which is underlined by Zelenksky’s meeting with President Macron today.